As anyone familiar with the Amanda Knox case knows, the American student who spent almost four years in an Italian prison after being convicted of murdering Meredith Kercher in 2007 is now a free woman. Knox and her former boyfriend, Raffaele Sollecito, both had their second murder conviction overturned by Italy's Supreme Court of Cassation in March of 2015, finally ending their legal nightmare that began several years back. But there was a third person who was convicted of Kercher's murder in a separate trial that happened concurrently with Knox's: Rudy Guede. 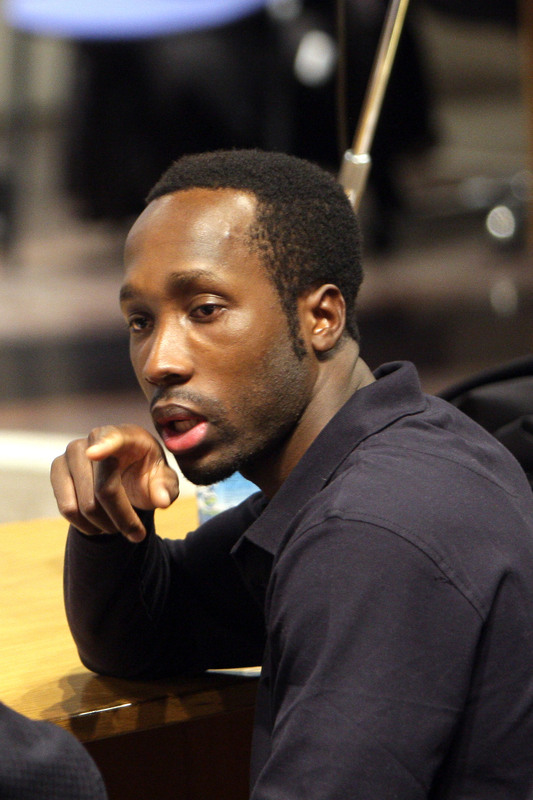 Today, Rudy Guede is still in prison, carrying out a sentence for Kercher's murder. As the only person physically linked to the death of Kercher, Guede remains behind bars for the crime. His DNA and bloody fingerprints were found at the crime scene, and though he maintains his innocence, he has not been able to provide a credible explanation for that fact. Guede also fled to Germany soon after Kercher's murder and had to be extradited to Italy, which provided the prosecution with circumstantial evidence against him. Guede opted for a fast track trial in 2008 rather than being tried with Sollecito and Knox, for fear of them teaming up against him, and was found guilty and sentenced to 30 years. He appealed that ruling in 2009, but was again found guilty. His sentence, however, was reduced to 16 years. To Americans, a 16-year sentence for murder might seem lenient, but shorter prison sentences are common in Europe, according to the New York Times. Guede is now halfway through his sentence, which means he should remain in prison until 2024. However, there's a good chance he could be released even sooner than that. Guede became eligible for day release in 2014, meaning he would be free to leave prison during the day to work or attend classes, but would have to return at night. There are conflicting reports about whether or not he ever applied to do so, but in May of this year he was released for 36 hours as a reward for good behavior, according to The Independent's Loulla-Mae Eleftheriou-Smith. "I will be able to feel the sun on my skin and look out of the window without bars in front of my eyes," Guede said at the time. "36 hours, each one of them precious. I thank everybody who has had faith in me." He also will likely be up for parole in 2018. Guede may still be in prison for the murder of Kercher, but with a likely parole hearing looming in just two years, there's a chance he may not be behind bars for much longer.